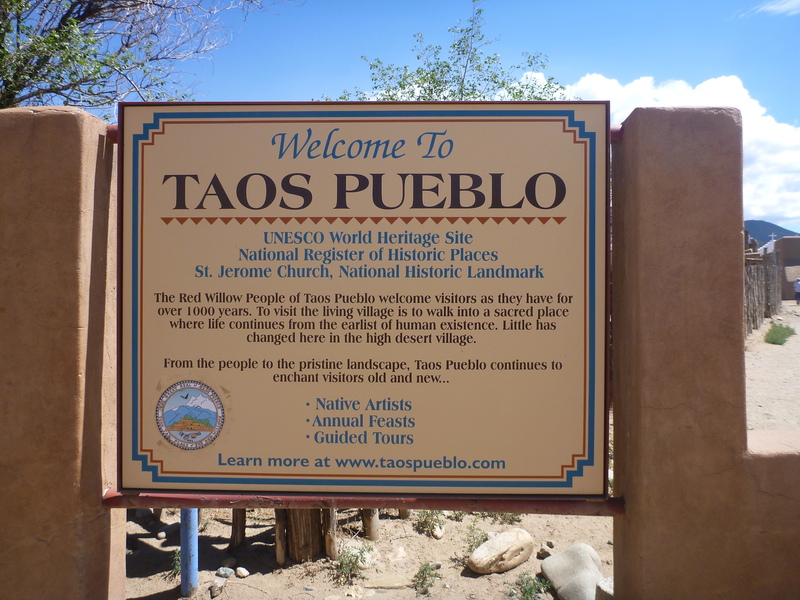 One Day in Taos, New Mexico | Dream! Go! Live! Posted on August 13, 2012	by dream!go!live! 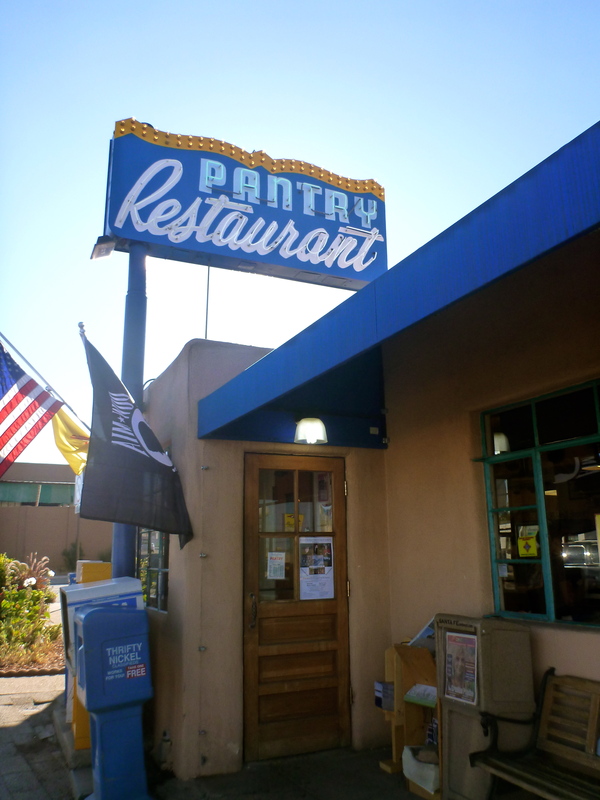 I can’t believe I actually made everyone be up and out at The Pantry for breakfast by 7:45AM- sorry! It was easier for us from the East Coast but I think for Kevin, I’m sure it was torture. But it had to be done. 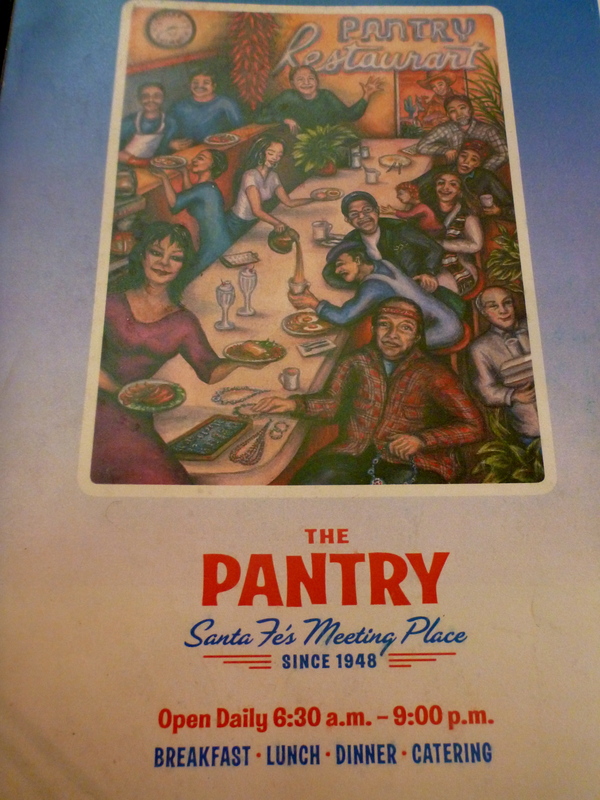 We had a long day ahead of us and we needed to get a great start, both with our start time and with our meal. 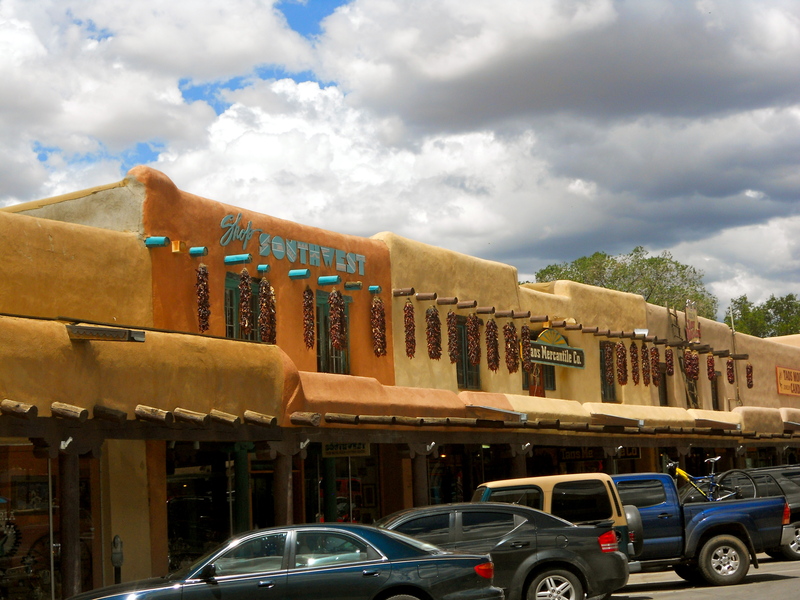 I’d done a good amount of research on not only where to eat but also for each restaurant whether their specialty was red or green chili (check out the chowhound board or Santa Fe Reporter’s Best Of Food & Dining issue for suggestions/opinions). We made a point of ordering both red and green chilis everywhere we went (referred to as “Christmas”) so that we could compare them. 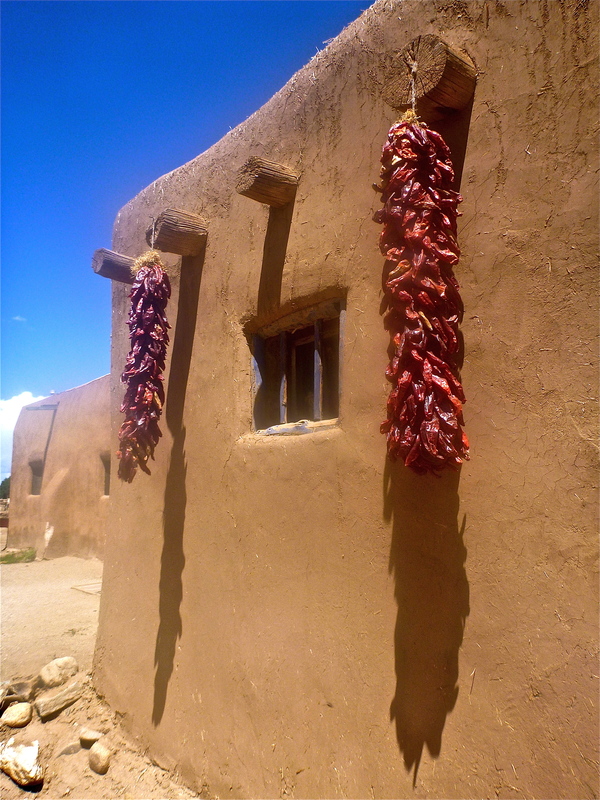 For me, I liked the red chili at The Shed, both red and the green at La Choza. 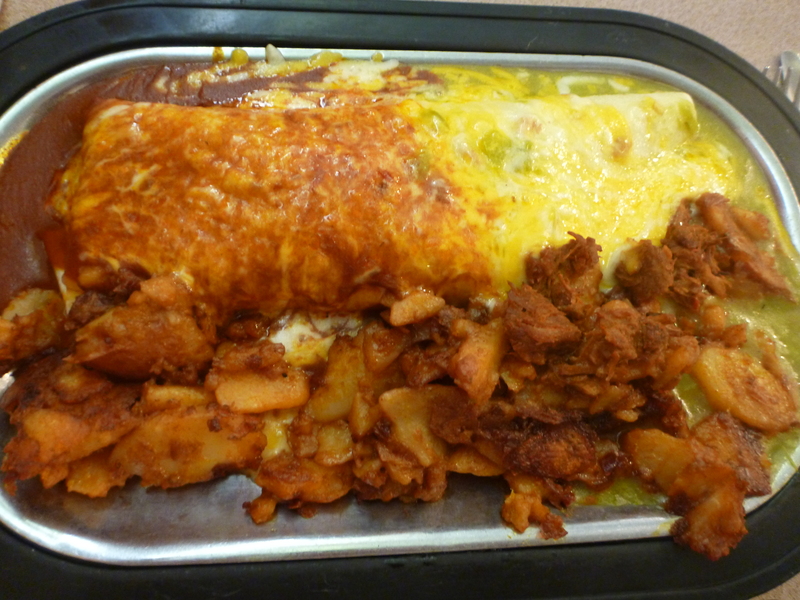 The green chili, I thought, was also very good at Tia Sophia’s where we had breakfast the next morning. 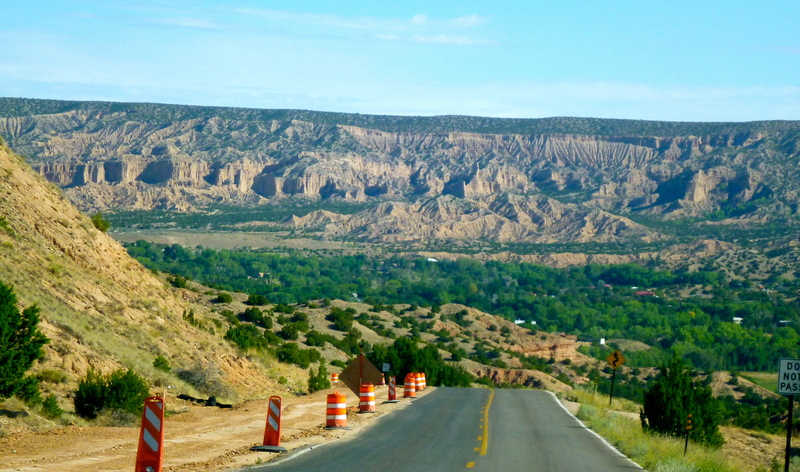 It was another beautiful day and after our filling breakfast, we drove towards Taos. The views outside were absolutely spectacular. 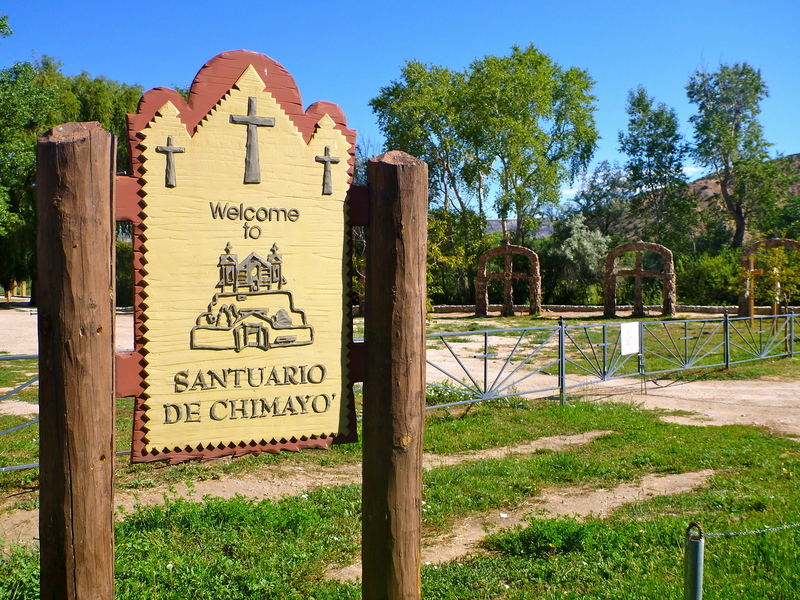 We arrived early enough (right on schedule @ 9AM when they open) to be the only visitors at El Santuario de Chimayo– the reason why I had everyone up & out. We had a very quiet and peaceful visit. 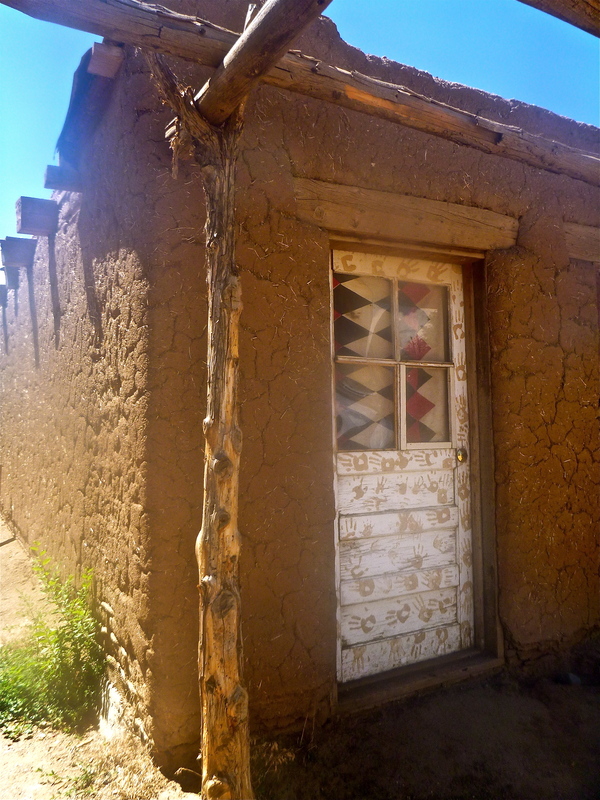 We were allowed to scoop up a little bit of the “holy dirt,” which is believed to have miraculously curative powers. We even played with a very sweet dog that tagged along with us while we roamed the grounds. 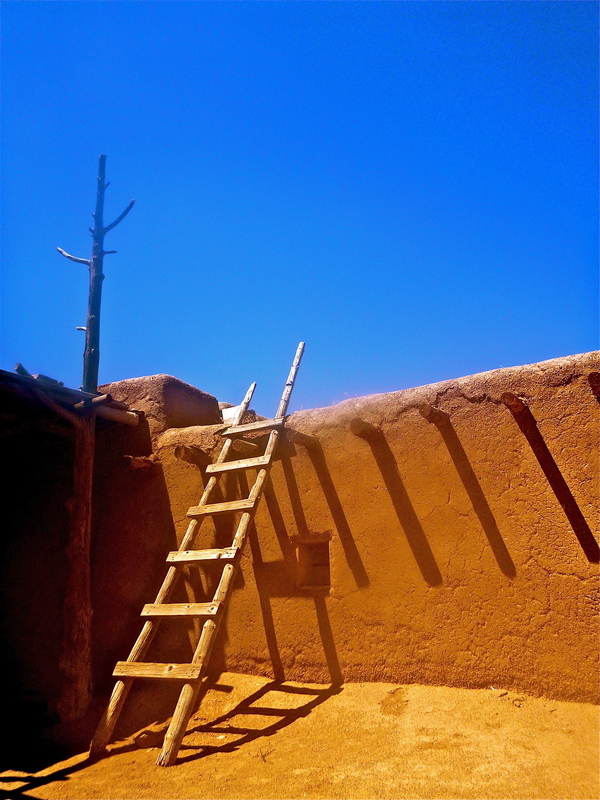 The adobe Native American architecture was really interesting but the color of the sky was beyond words. 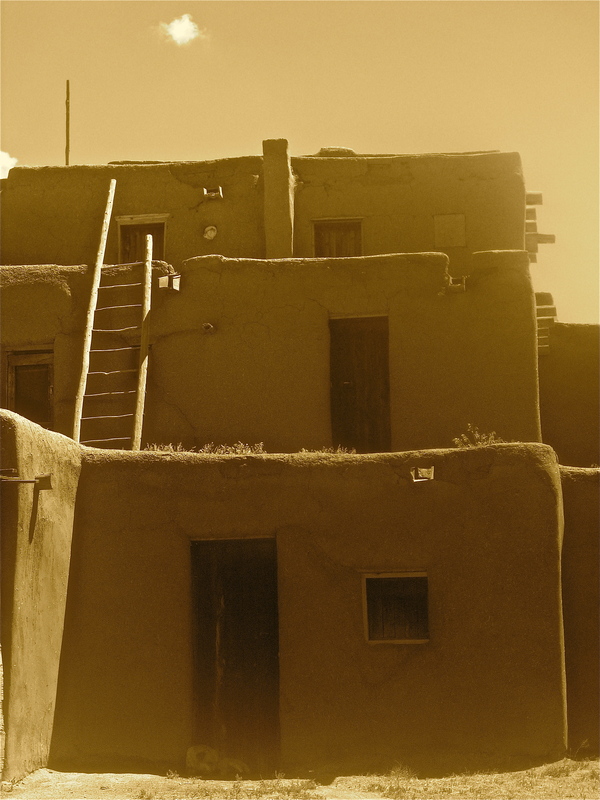 We’d only been in New Mexico for a few days but I could understand why so many artists have chosen to live and work there. 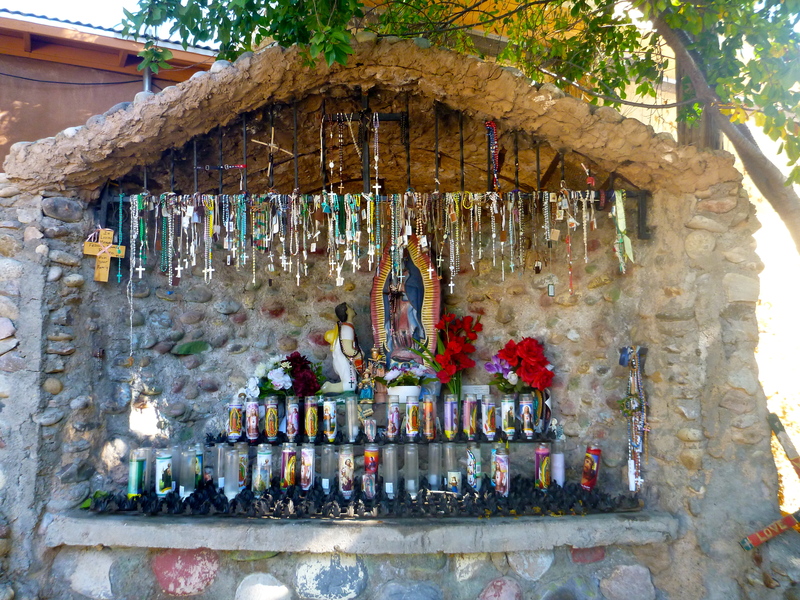 Everything seemed more vibrant and pure and alive. I didn’t realize it at the time but I inadvertently smudged the camera lens sometime during our visit (it was so bright that when I was taking the photos I couldn’t see very well), so the quality of the photos are not very good. But here are some anyway. 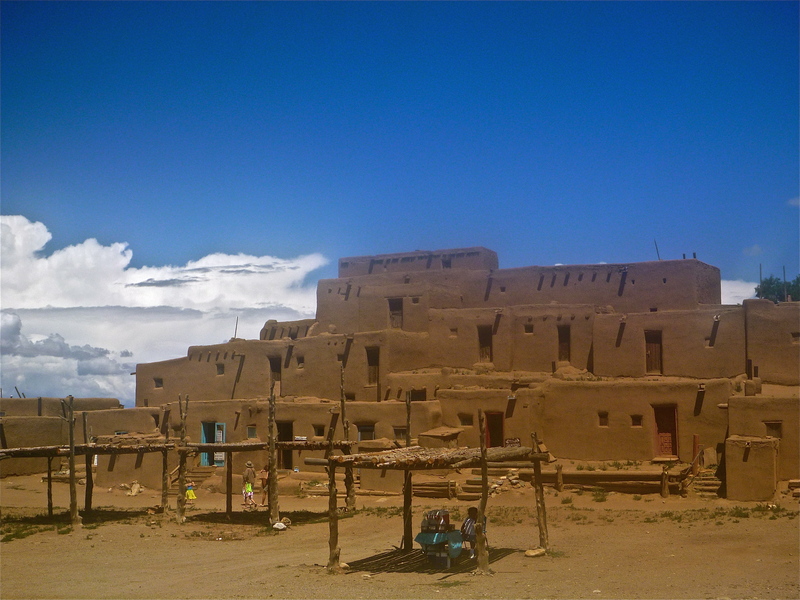 These homes have been inhabited for over 1,000 years. 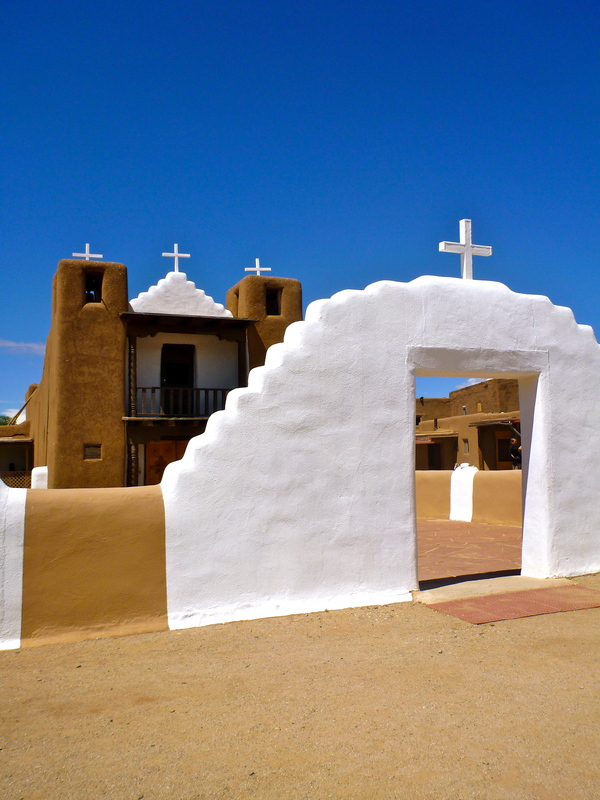 We had reservations at Graham’s Grille in town so we headed back for a leisurely lunch and a stroll through the small quaint streets of Taos. 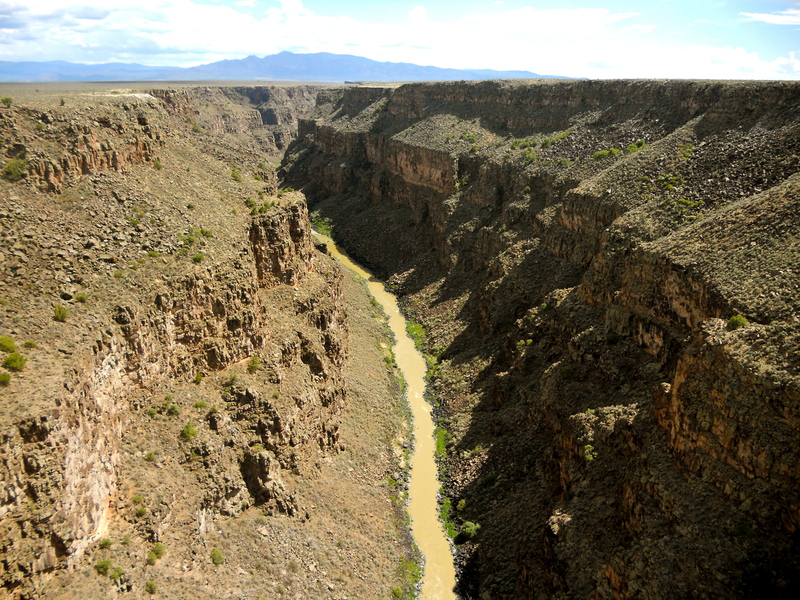 When I was planning this trip I wasn’t sure whether it would be worth our time driving away from Taos to visit the Rio Grande Gorge. I’m so glad we did… The visit to this natural wonder was enough to give me a heart-stopping thrill. It confirmed what I already knew- I’m definitely not an adrenaline junkie (I barely go on roller coasters) and I really can’t relate to those who love to skydive or bungee jump. The photo here does not do justice to the grand scale of this chasm and how scary it is to walk to the middle of the Gorge Bridge (~650 feet high, 5th highest bridge in the U.S.) that connects the two sides. Let’s just say that Mom was practically crawling because her legs were shaking so much (she refused to let go of the rail or look over to see the water below) and Kevin didn’t even make the attempt, deciding to stay by the car. It was AWESOME. 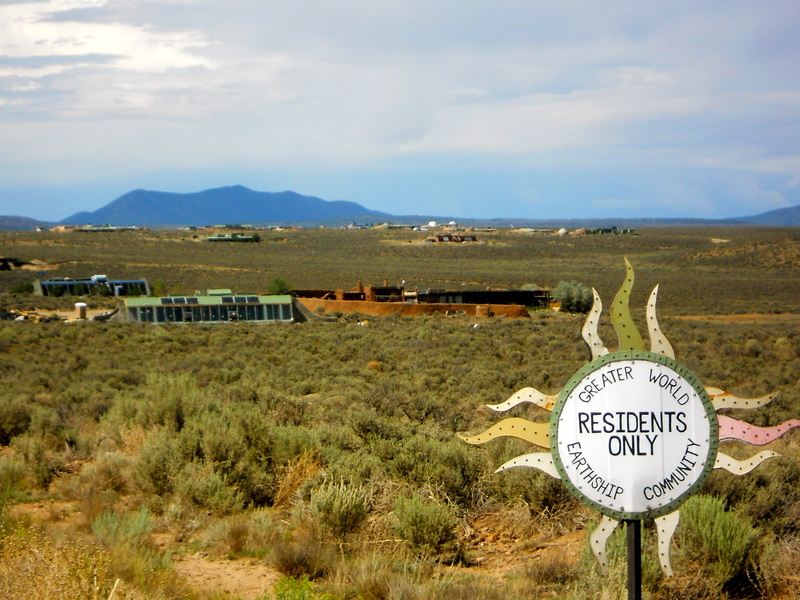 And after that, for something a bit out of the ordinary and fun we drove farther out (just another mile or so from the Rio Grande Gorge) to see The Greater World Earthship Community. 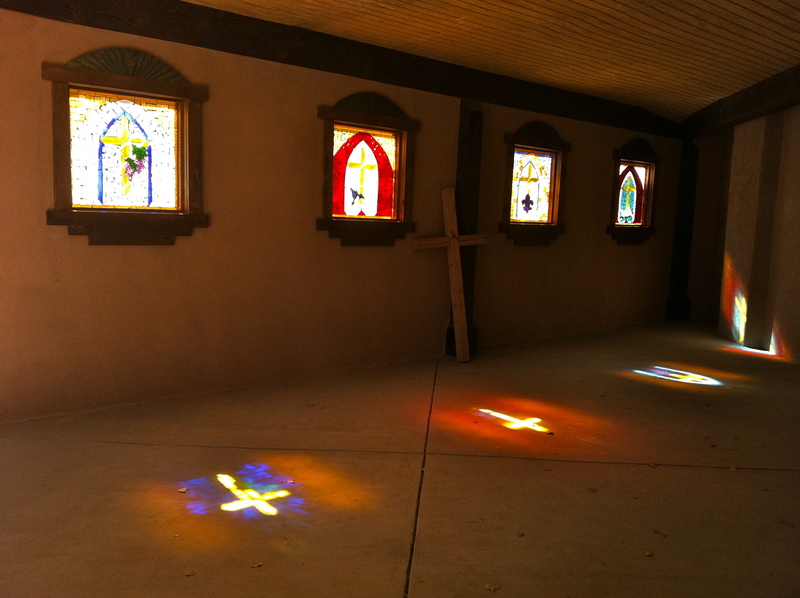 These buildings (they’re for sale) are made of recycled materials and eco-friendly. 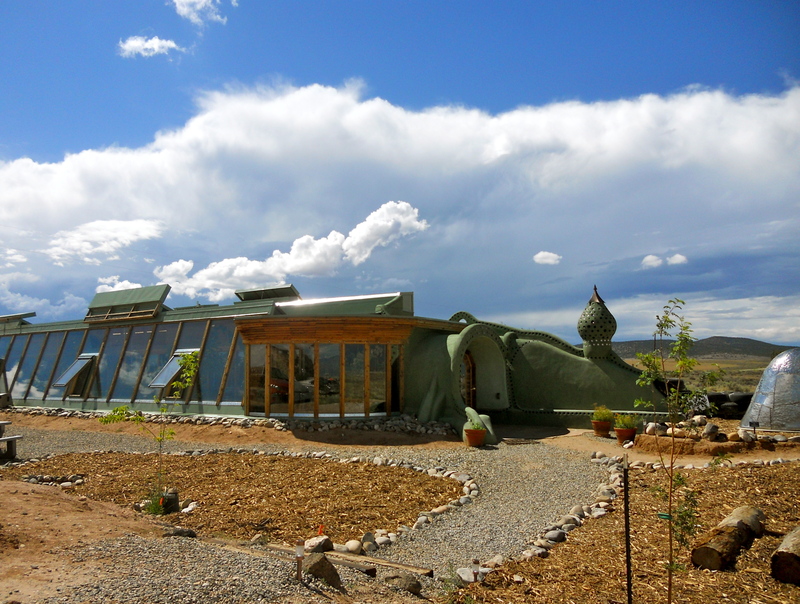 They call it “earthship biotecture” and there is a community we could visit. 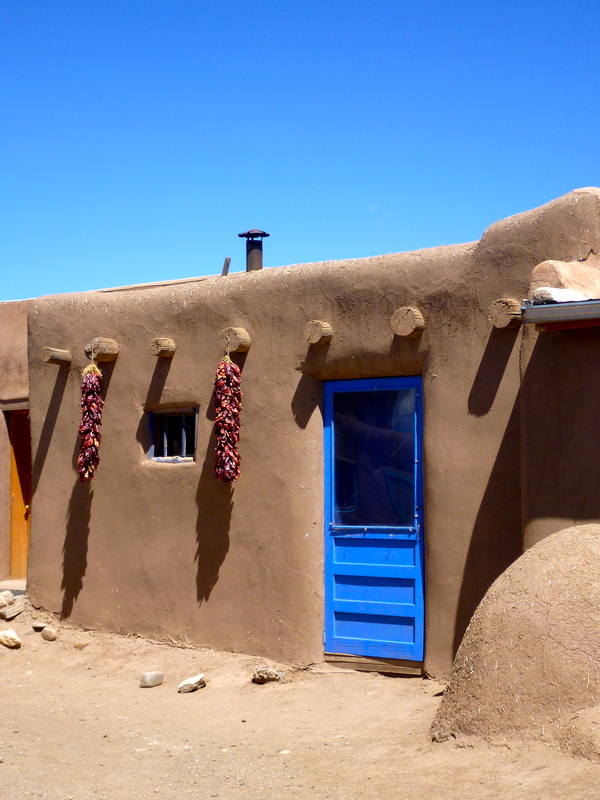 I actually thought about booking us a house, I mean an earthship, to stay over for a night (I thought the Phoenix Earthship looked perfect for my family). 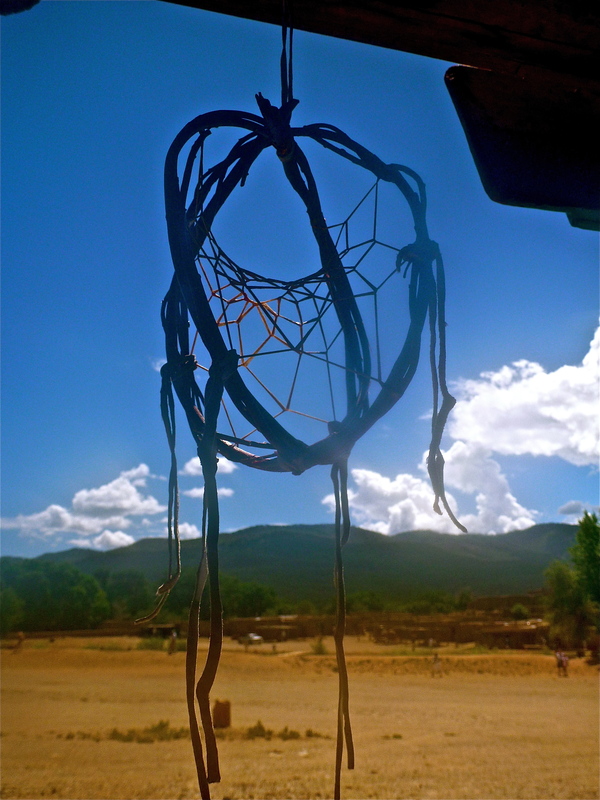 As this community is in the middle of nowhere and I could just imagine seeing all the stars in the night sky… but I could also imagine Mom saying “we’re in the middle of nowhere!” and Kevin grumbling about how I must have lost my mind (a story about an earthship misadventure involving a rattlesnake, here). 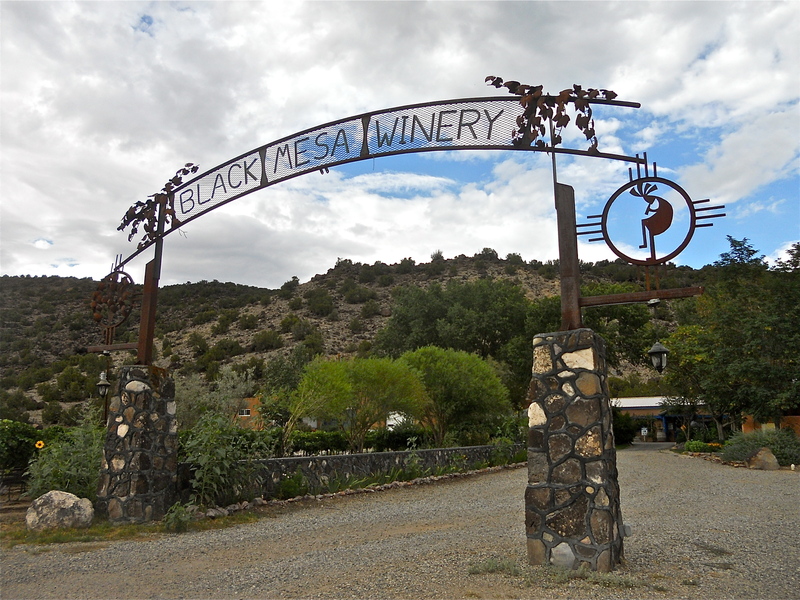 Our last stop of the day was Black Mesa Winery. Mom and I did a nice tasting, while the men decided to sit this one out. They literally sat outside and watched the hummingbirds buzz about. 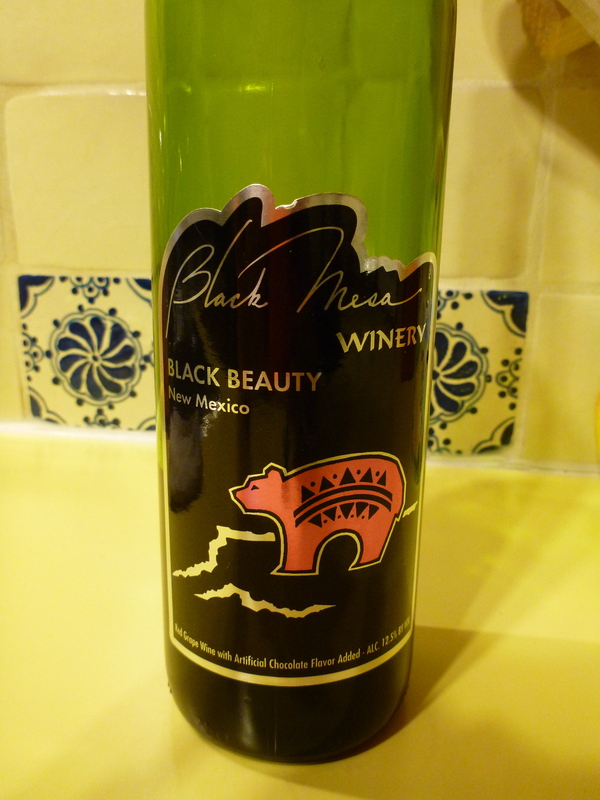 We bought a bottle of their famous “Black Beauty” to drink that evening for dessert. I’m not a fan of sweet wines but this one really did taste like chocolate, and we all enjoyed it enough to drink the entire bottle that night. I really did pack a lot in one day! A more relaxing day (kind of), tomorrow. 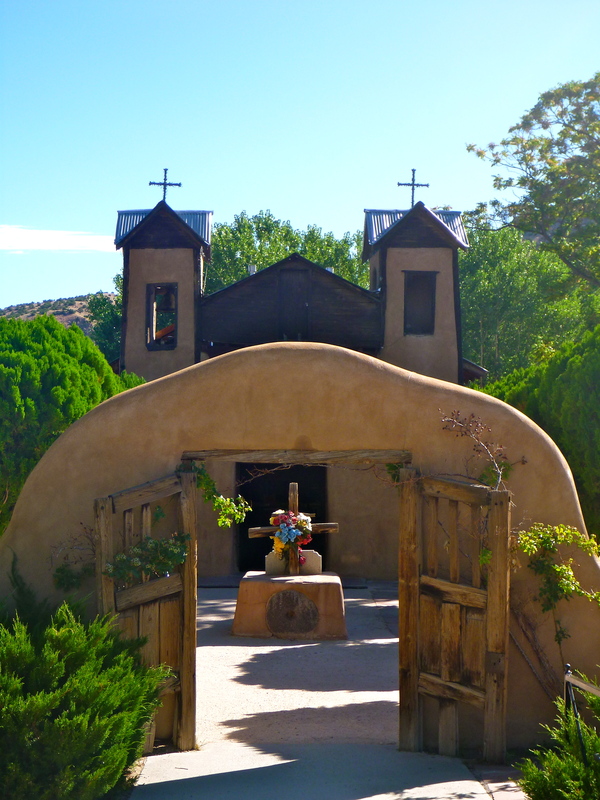 This entry was posted in 2011, Travel, USA and tagged Black Mesa Winery, El Santuario de Chimayo, Family Holiday, Graham's Grill, New Mexico, Rio Grande Gorge, Santa Fe, Taos, Taos Pueblo, The Greater World Earthship Community, The Pantry Cafe. Bookmark the permalink.